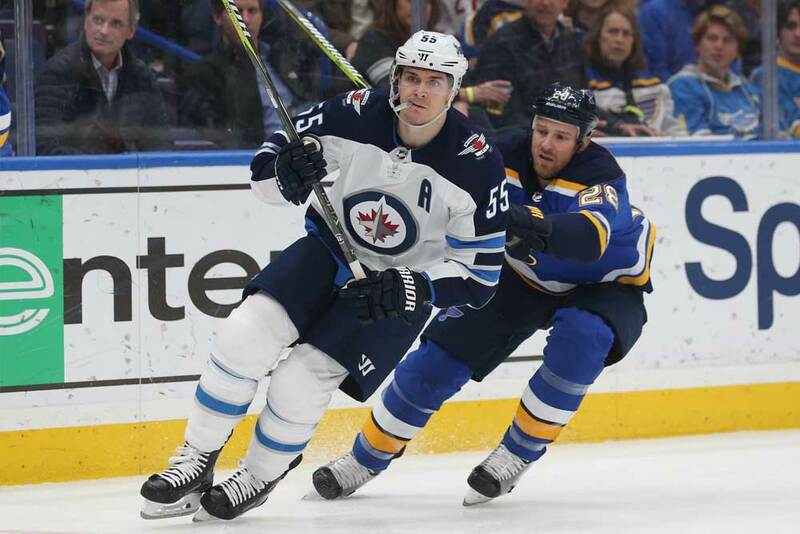 If you were asked to make a list of the most underrated players in the NHL you may want to consider leading it off with Mark Scheifele of the Winnipeg Jets. Those who have a good understanding and knowledge of hockey already realize just how good this 25-year-old center is, but his name isn’t on the tip of the tongue like other offensive wizards such as Alexander Ovechkin, Steven Stamkos, Connor McDavid and Auston Matthews etc. However, he may be just as good as those players since Scheifele can certainly do it all. When the second edition of the Winnipeg Jets arrived in the Canadian city in 2011, Scheifele became the club’s first draft pick when he was chosen seventh overall. Now seven years later it looks like it may have been a stroke of genius. Scheifele was born in Kitchener, Ontario, which is well known for two things; it’s junior A Kitchener Rangers hockey team and Oktoberfest. He played minor hockey in his hometown and a year of Junior B and then three seasons with the Barrie Colts of the Ontario Hockey League, managing to score more than a point per game with each club. Scheifele was drafted by Winnipeg after posting 22 goals and 75 points with the Colts in 2010/11. He made the Jets’ roster a few months later and skated in seven games, scoring his first NHL goal, before being reassigned to Barrie. Heading back to junior proved to be a wise decision as the the 6-foot-3-inch, 205-pounder notched 62 goals and 80 assists for 142 points in 92 games over the next two seasons along with 20 goals and 53 points in 34 playoff outings. He also played 10 playoff games in the American Hockey League in 2011/12 and recorded an assist and skated in another four games with the Jets in 2012/13. While still in junior hockey, Scheifele gained some valuable experience on the international scene by playing for Canada at several major tournaments. He has contributed 18 goals and 40 points in games for his homeland and helped his team win gold at the 2012 Canada-Russia challenge and the 2016 World Championships. He also won bronze at the 2012 World Juniors and silver the 2017 World Championships. Scheifele finally cracked the Jets’ lineup full time in 2013/14 and centered the team’s second line. He went down with a knee injury in early March though and missed the remainder of the season. He still posted 13 goals and 34 points in 63 games in his rookie campaign though. He improved as a sophomore, but not dramatically as he notched 15 goals and 49 points in all 82 regular-season outings and recorded an assist in four playoff contests. With a couple of years of pro experience under his belt, Scheifele netted 29 goals and 61 points in 2015/16 and 32 goals and 82 points in 2016/17, but the Jets failed to make the postseason both years. He missed 22 games last season, but scored a point per game with 23 goals and 37 assists in 60 encounters. Scheifele then caught fire in the playoffs with 14 goals and 20 points in 17 games, but the Jets were eventually eliminated in the Western Conference Final by the upstart Vegas Golden Knights. Heading into the 2018/19 Christmas break, Scheifele has produced 135 goals, 201 assists and 336 points in 402 regular season games. This includes 29 goals and 42 points in just 36 outings this campaign. He’s also been a complete 200-foot player as Scheifele was plus-19 at the break and plus 92 for his NHL career. He also has the knack for timely markers with five game-winners this year and 20 in his big league career. NHL officials have definitely noticed his excellent play this season as Scheifele has been named a star of the week on three different occasions. The last time came on December 17th when was the first star after notching five goals and six assists in 11 games including back-to-back overtime winners. He was also named the first star of the week earlier in December and second star of the week at the end of October. While he’s on pace for 50 goals and 100 points this year, Scheifele has definitely had some help as winger Blake Wheeler has been setting him up time after time. Team captain Wheeler has been the playmaker while Scheifele has played the role of lethal trigger man to perfection. In fact, Wheeler has been so effective playing with Scheifele, he was leading the league in assists with 43 heading into the holiday break. The Jets finished off their December schedule on fire with a record of 10-2 and looked to be a lock to make the playoffs again as they sat atop the Central Division and Western Conference. Winnipeg head coach Paul Maurice is obviously pleased as punch with production from the dynamic duo of Scheifele and Wheeler, but he wants his young center man to concentrate on shooting as much as possible and let Wheeler worry about the playmaking. Scheifele is certainly proving he deserves to to be mentioned in the same breath as the league’s other elite players and NHL players, coaches and fans are suddenly starting to realize this. If he stays healthy for the remainder of the season Scheifele should easily finish in the top-10 of the scoring parade and make the Jets one of the favorites entering the playoffs.